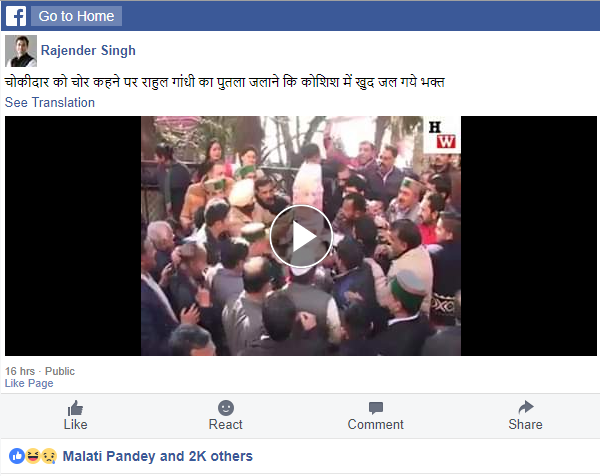 A three year old video of a few Congress workers injured whilst burning an effigy of Prime Minister Narendra Modi has been shared on Facebook, albeit, with a twist. The viral post claims that the group of protesters setting the effigy ablaze are member of Bharatiya Janta Party, and the effigy is that of Congress President Rahul Gandhi. 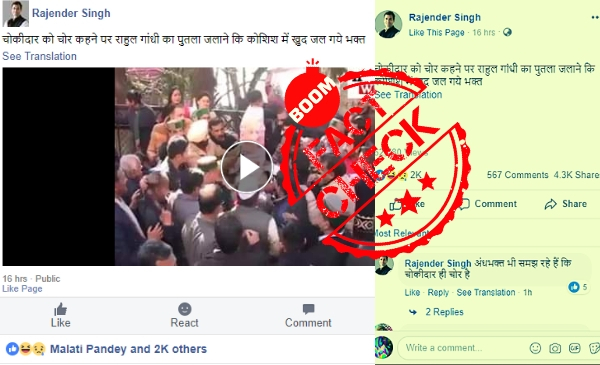 The video, shared over 4300 times from the profile of one Rajender Singh, has a caption which reads, “Bhakts who were trying to burn an effigy of Rahul Gandhi for calling ‘chowkidar’ a ‘chor’, ended up burning themselves. You can access the archived version of the post here. A reverse image search on a screengrab from the video led BOOM to several media reports about this incident that took place in December of 2015. 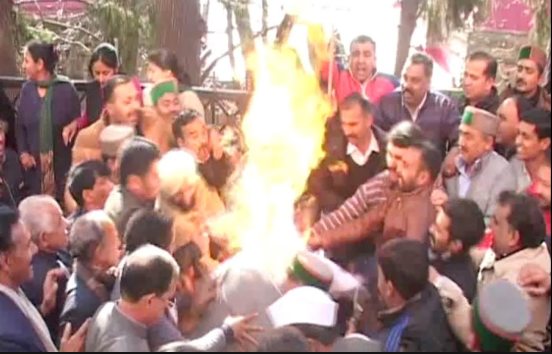 The video is from Shimla, and the protesters seen setting fire to the effigy are members of Himachal Pradesh unit of the Congress. The incident took place on December 14, 2015, when a group of Congress workers were protesting at the deputy commissioner’s office as part of state-wide protests over the National Herald issue. In a bid to set fire to an effigy of Modi, a worker flicked the lighter exactly when someone was pouring fuel over the effigy. A ball of flame rose and as many as five Congress workers sustained injuries, with one of them sustaining critical burn injuries. The critically injured worker was hospitalised. The issue was covered widely by the media back then. Reports related to the incident can be accessed here and here. The party also got a lot of flak for its act, on social media. Watch the original video of the incident below. will the government agencies take not of loading a fake video and take action as per law.